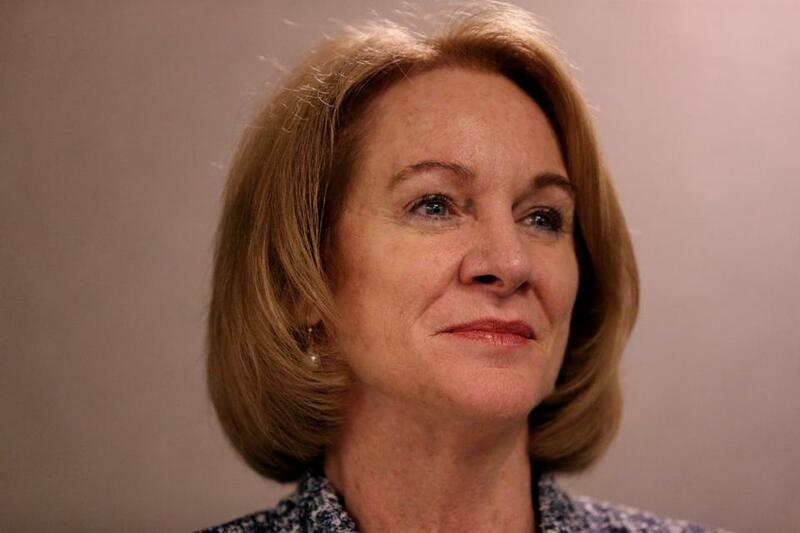 There were gasps in the room packed with city officials and housing experts Friday as Seattle mayor Jenny Durkan rattled off some statistics about her booming city, home to e-commerce behemoth Amazon. Among them: housing prices that now average $824,000, rents that have climbed 57 percent in five years, and a hard-to-solve homeless problem that has left 4,000 people on the streets each night. As the US Conference of Mayors opened at the Copley Marriott Friday, Durkan offered a cautionary tale for Boston as the city chases Amazon’s “second headquarters” and its promise of 50,000 well-paid tech jobs over 20 years. In Seattle, Amazon employs 45,000 people, and its presence has transformed the old port city. Boston is among several cities seeking the Amazon project, and that competition helped put Durkan in high demand among the hundreds of mayors gathered in Boston. She participated in several panels to detail how her city is enjoying some of the same opportunities, and wrestling with some of the same challenges, that face Boston. As Seattle’s tech economy has taken off, it has grappled with an expanding array of related issues — from transportation to social services to basic infrastructure. But in the so-called Emerald City, perhaps no challenge looms larger than housing. During a conference session on housing affordability Friday, Durkan touched on the double-edged sword that can come with Amazon and other major companies on a fast track for growth. That’s what Boston is trying to do, with Walsh’s much-touted goal of adding 53,000 housing units by 2030, and a network of plans being designed to help assimilate growth into the fabric of neighborhoods. Sheila Dillon, Walsh’s chief of housing, sat near the front of the audience during one of Durkan’s talks. Dillon agreed that Boston, Seattle, and other prosperous but pricey cities face many of the same challenges, and that their inability to supply enough affordable housing in recent years is an indication that more help from Washington, D.C., is needed. Seattle Mayor Jenny Durkan during panel discussion on housing at the United States Conference of Mayors 86th Annual Meeting at Marriott Copley Place. In the meantime, Seattle, like Boston, is trying to boost the stock of housing on its own, from encouraging backyard “granny flats” to providing more rental assistance to rezoning sections of what is still largely a city of single-family homes to allow more multifamily units. And, like Boston, it’s asking businesses in the private sector to contribute more. That hasn’t always gone smoothly. Seattle has been in the midst of a vociferous debate over a new tax on major employers that will help fund housing and services for the homeless. In protest, Amazon briefly halted construction on a new office building. Durkan helped broker a compromise to lower the proposed tax and push it through Seattle’s fractious City Council. But now the measure faces a ballot referendum, bankrolled by the business community. Meanwhile, as Boston and Seattle deal with the side effects of a robust economy, Baltimore Mayor Catherine Pugh is trying to revive a city long in decline. Pugh, who sat next to Durkan on a panel dais, said Baltimore has lost nearly one-third of its population since 1970. In attempt to attract more businesses and residents, it launched some large-scale redevelopment projects and is providing tax incentives to projects that set aside 20 percent of their space for affordable housing. Still, for struggling cities such as Baltimore, the scale of the problem is massive. Despite plans to use state and federal funds to demolish long abandoned row houses that are pockmarks in many neighborhoods, tens of thousands still stand, and many have been seized for unpaid taxes. “The city itself owns 16,500 empty houses,” Pugh said. Across the country in Seattle, those unwanted houses would be like gold, Durkan observed. “I’ll buy them,” she joked.